Our glittering 40-page fashion section looks ahead to next year by lining up some of the most alluring trends to look out for in 2019 (hello to artisan lace and feathers). 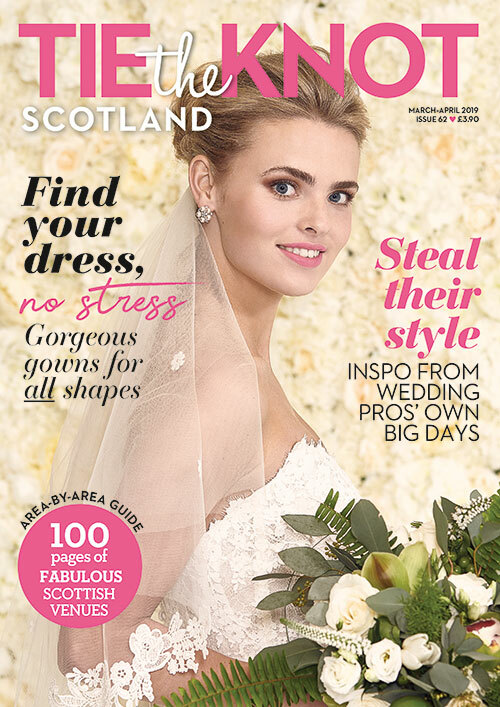 In fact, the Rosa Clará Soft dress from Aberdeen boutique Ivory Grace that stars on our cover has a plumed skirt that is sheer perfection! 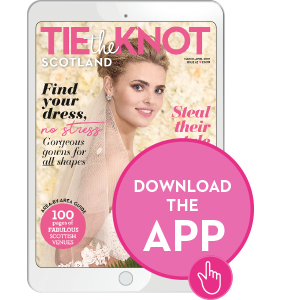 It’s just one highlight from our shoot at luxe Highland retreat Glentruim Castle and Cottages in which Scottish stores shine a spotlight on their current bridal style crushes. 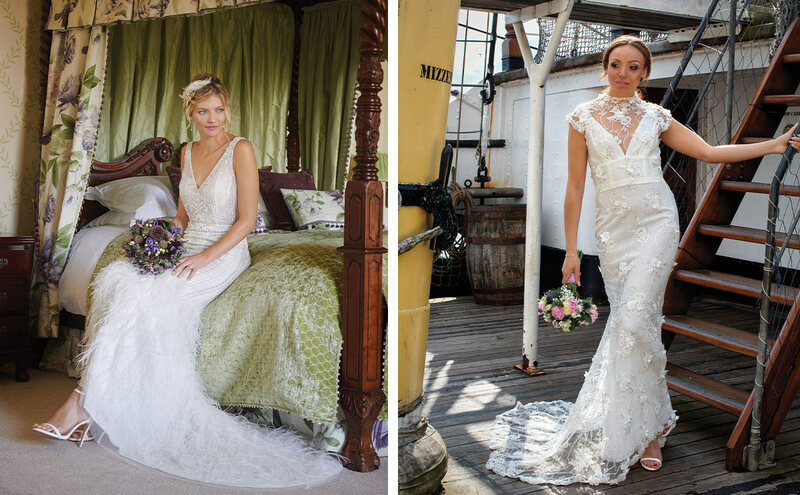 Flowers and weddings go hand-in-hand, an aesthetic that we celebrate in our ‘Chic Ahoy’ fashion story that features floaty, petal-strewn gowns captured onboard the majestic Tall Ship in Glasgow. Elsewhere, we check out both sides of the venue spectrum. 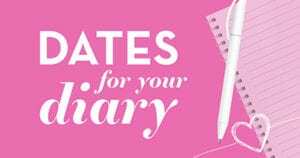 For those who’d prefer a no-fuss, turn-up-and-go approach to décor, we investigate purpose-built locations designed with weddings in mind, while visionaries who really want to stamp their own look on their w-day setting could do worse than flick to our rundown of some of the country’s coolest blank canvas spots. Just add imagination. 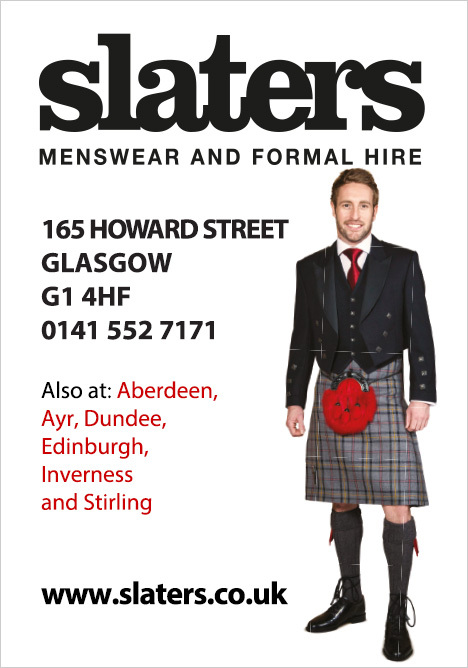 Talking of which, there’s no shortage of creativity on display among our real-life weddings this issue. 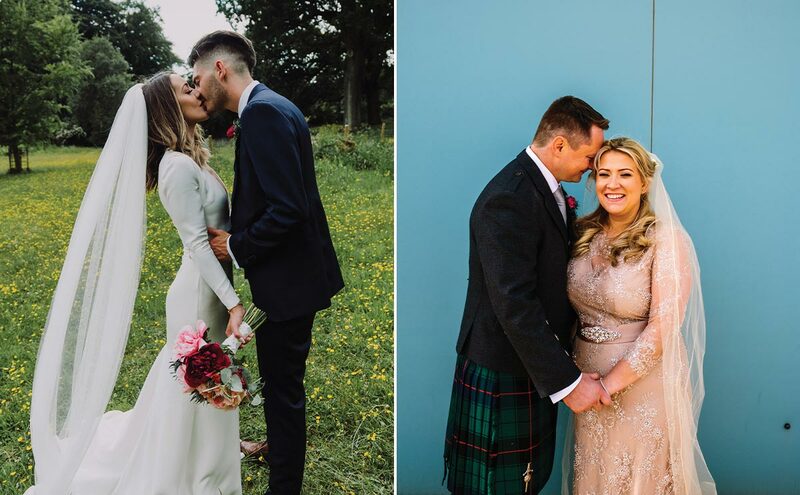 We chat to one bride who had a small but perfectly formed, Insta-worthy celebration in Glasgow – just wait til you see the DIY table garland and divine teal and pink touches – and after having no joy shopping in boutiques, another tells us about knocking heads together with Gok Wan (yes, really!) to conjure up the dress of her dreams. 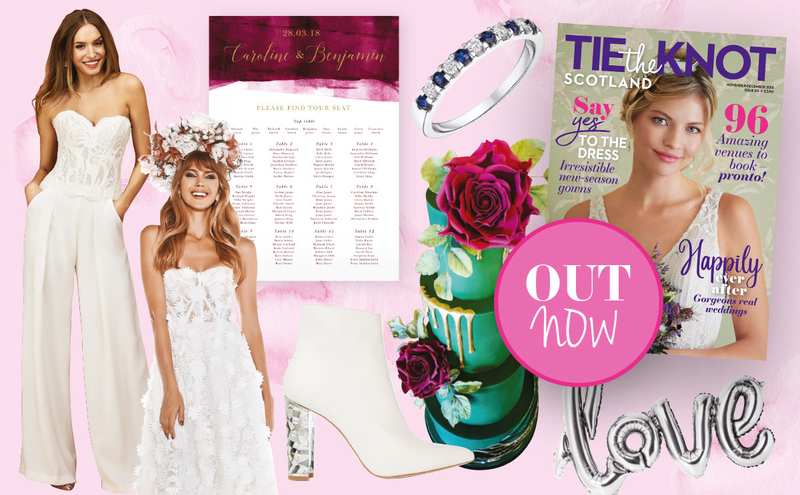 Pick up a copy of Tie the Knot Scotland from selected Scottish retailers or go one better by treating yourself to an early Christmas present in the form of a six-issue subscription for just £18.